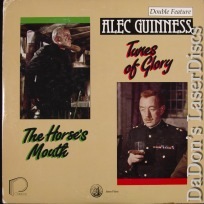 The Horse's Mouth Tunes of Glory 1958 - 95 min. 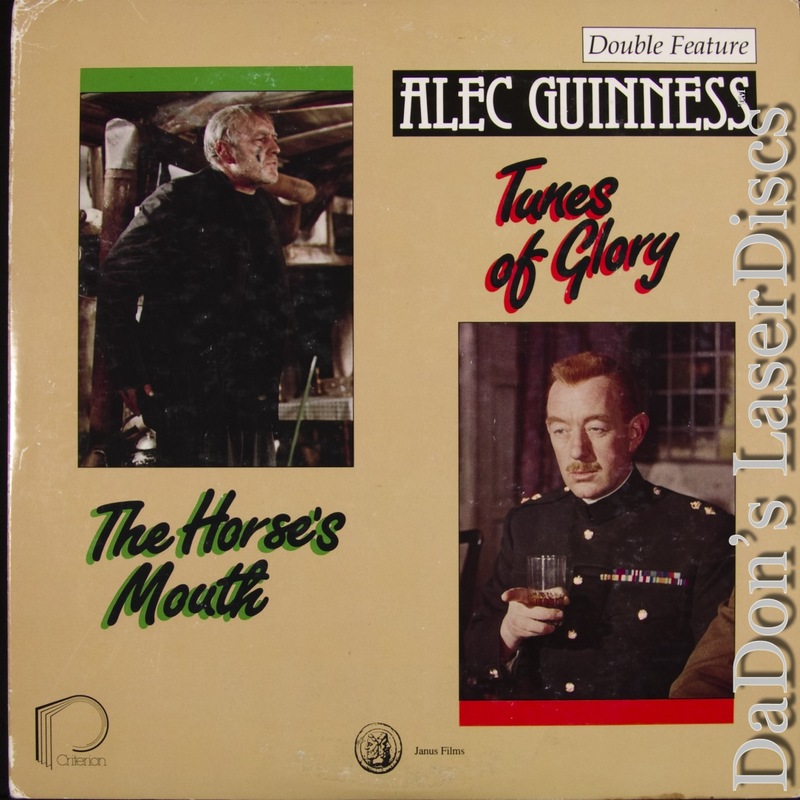 - Color Genre: Comedy Not Rated Country: USA LaserDisc Movie Review: With a screenplay by Alec Guinness based on Joyce Cary's novel, this is the comic story of a down-and-out artist, just out of jail, who convinces wealthy people to pay him for paintings they didn't actually commission. Academy Award Nominations: Best (Adapted) Screenplay. 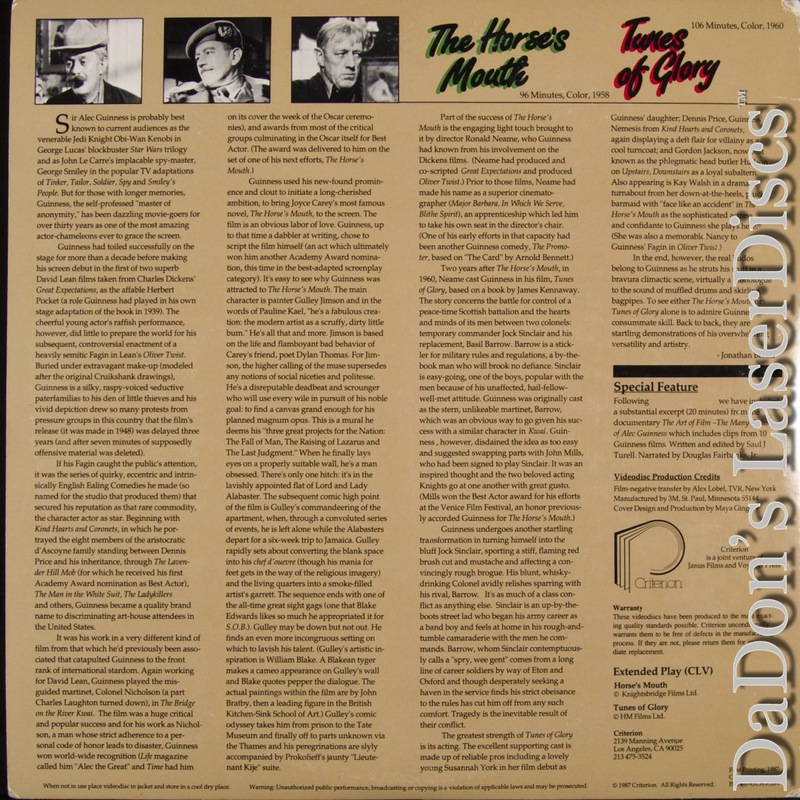 Thanks for Visiting DaDon's Rare LaserDiscs ! 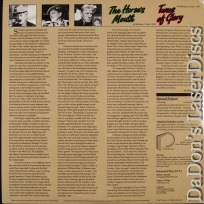 Reviews, Articles, Newsletter and Information for Movies on LaserDisc LD Laser Disc, LazerDisc.